Regal Health of America is actually known as Regal Life of America Insurance Company, which is part of Southwest Service Life Insurance Company. Regal Life of America Insurance Company offers health and life insurance policies in the state of Texas. 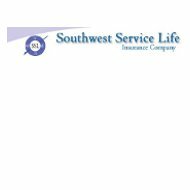 Under its parent company of Southwest Service Life Insurance Company, they have been providing insurance products since 1962. Regal Life of America Health Insurance Plans are available for individuals and families. The company just introduced its new policies for 2012. The Freedom of Choice Plans cover medical and hospitalization costs incurred by policyholders. The Plan A does not require any deductible, but includes home health care, surgery expenses, and ambulance services. There is a $100,000 maximum on each covered policyholder. The Plan B offers the exact same coverage as the Plan A except for requiring a $200 deductible and a $150,000 maximum on each covered policyholder. The Plan C is similar to the previous plans except the deductible is $400 a year and a $250,000 maximum on each covered policyholder. Policyholders may choose their own health care providers and hospitals. Regal Life of America Health Insurance policies are automatically renewed yearly as long as policy payments are kept up to date. In addition to Regal Life’s Health Insurance Policies, the company also offers Specialty Policies. The first policy is a Heart and Stroke Policy, which provides additional coverage to any standard plan in the amount of $150,000-$250,000, depending on the coverage you choose. The plan provides extra coverage for hospitalization, therapy, and home health care. The second Specialty Policy is the Cancer Income Policy, which provides additional benefits of $150,000-$250,000, depending on the coverage you choose. In addition, additional time in an Intensive Care Unit is approved and covered. Regal Life does not require preapprovals for physician or hospital care. There is no network to follow. Simply choose who you wish to see. There are currently 1000 agents with Regal Life of America Insurance Company. If you would like to speak to a representative, please call (800) 966-7491 or email the company at [email protected]. Policyholders receive a statement with a due date of when the premium is due. However, policyholders have 30 days to make a payment before coverage is dropped or suspended. However, you may also email any claim information to [email protected]. All claims must be received within 90 days after the visit or procedure. The amount of reimbursement will depend on the area in which you live. Regal Life of America Insurance Company’s president is Frank Croy. The vice presidents are Larry Croy and Charles Young. The Better Business Bureau rates regal Life of America A+. Although there were four complaints filed against the company in the last three years, three of the four were resolved with the help of the Better Business Bureau and to the satisfaction of the customers. A total of four complaints were filed. Two of the complaints were due to product or service issues, and the other two were because of advertising or sales problems. One of the service complaints was never resolved to the satisfaction of the customer. However, the Better Business Bureau found the company’s efforts to appease the customer quite satisfactory. You can review details of the complaints filed by visiting the Better Business Bureau at www.bbb.org. There is one complaint available for review on www.complaintnow.com an independent website that explains the policyholder’s dissatisfaction with not having medical coverage for physician’s appointments. However, it appears that the policyholder was aware of the coverage but did not see it as a problem when he originally signed up for the policy. Compare policies and receive quotes from active health insurance providers by typing your zip code into the free rates tool now!